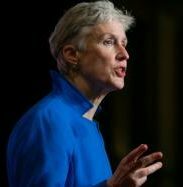 Smart community projects are “a natural for public power,” said Sue Kelly, President and CEO of the American Public Power Association on Feb. 11 in remarks made at the National Association of Regulatory Utility Commissioners’ 2019 Winter Policy Summit in Washington, D.C. Among the things that public power is doing when it comes to smart city activities is converting streetlights to LEDs and electric vehicle charging infrastructure. In addition, public power is working on microgrids and distributed energy installations. Read more here. 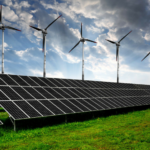 Winning in a more distributed energy world: 3 steps to utility success, Utility Dive. A billion-dollar retail opportunity awaits utilities that turn reluctant customers into partners. Research tells us that by investing just $1 in resilience before calamity strikes, the nation can save itself $6 in future recovery costs. planning process for building wind turbines is fair and open, their perceptions of the often-controversial energy source remain steady or improve with time. In fact, the openness with which the planning process is handled is more important in shaping residents’ perceptions of wind energy than receiving a payment, researchers say. Emissions Vehicle investment plan is available and that the 30-month investment period begins on July 1. September 2018, represents 150 organizations, including farms, small businesses, and consumer groups. 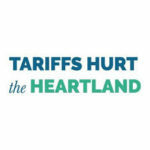 The coalition has hosted 15 events across the country to showcase stories of individuals, businesses, nonprofits and communities that have been hurt by tariffs. This entry was posted in Nebraska / Midwest News, NewsBlog and tagged America Public Power Association, EV charging infrastructure, Green New Deal, planning process for new wind farms, Sue Kelly - President and CEO of the American Public Power Association (APPA), tariffs, Tariffs Hurt the Heartland, The Solar Maverick Podcast on February 15, 2019 by Helen Deffenbacher.